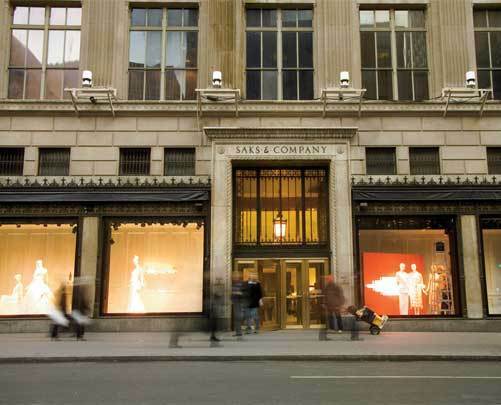 Word on the street is that luxury high end store Saks Fifth Avenue will be bringing back it’s plus size department in a big way. This Fall/Winter season some of us curvy ladies will be able to finally get our hands on some of the most coveted designer brands like Chanel, YSL (My personal fave), Dolce & Gabbana, and Alexander McQueen. Majority of these lines will be available in the industry plus size standards, which are a size 12 and 14. However, there will be brands that will carry sizes up to or even past an 18, but, we will have to just wait and see. The insulting part of this, is, that for most items there will only be one of each size. I believe this may call for a few little cat fights. I will definitely become aggressive for a YSL suit in a size 16. I can just imagine the snarky looks some of the Saks employees will be giving once they see curvy girls raiding the racks. The plus size clothes will only be available in the NYC store, but, if we keep our fingers crossed maybe they will begin supplying a variety of Saks locations. Crystal Renn sits down with the Today show to explain why she looked so thin in those fashion for passion photos and why she has been losing weight. I can’t say that she needs to explain herself to anyone, but, I am glad she did. I get the feeling she may still be struggling with body issues, but, doesn’t that come with the modeling territory? However, she does stand firm on wanting to present a healthy body image. What are your thoughts on her explanation? It looks like we are in the spotlight again. As I was reviewing my daily blog reads I came across some photos of Crystal Renn in French Vogue, Amber Riley in her Madonna gear for Glee tonight, and I also saw that the blog Jezebel actually decided to do a little highlight on plus bloggers and fashion. 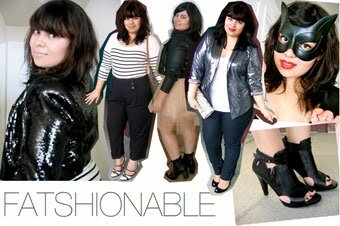 What a week for curvy girls! fashion to figure makeover contest.